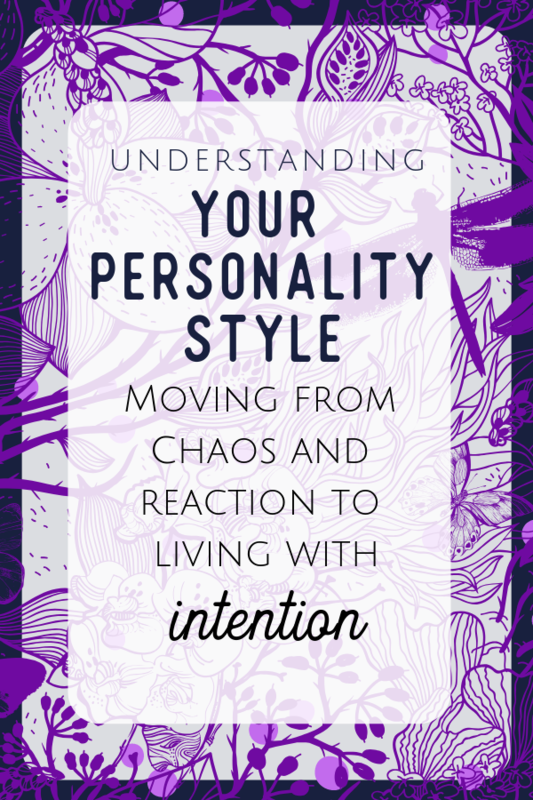 Are you focused on intentional living, and wondering what personality quizzes there are to help you, or if learning about personality styles even matters? Check this out. How do you define personality? Do you have all kinds of labels and descriptors you use when you talk about your family? If you are anywhere close to my age, you remember Popeye the Sailor Man, and his wonderful line, "I yam what I yam." I have seen time and time again families who are stuck in the Popeye mentality, creating a label around the negative behaviors their kids (or their spouses) exhibit. They live in reaction, ready to spring with their defenses anytime something doesn't go their way. "He's just a stick in the mud"
"He's a bit of a Negative Nancy." The rebel. The class clown. Oh my, the drama queen. Have you had those moments where you see one of your beloved little creatures in your home and immediately think up a label that not only defines them, but solidifies the negative persona you want to avoid? We want to stay away from the label game...and yet...those labels are the adjectives that describe the people in our lives. So how can we describe and not define? There is an element of truth to Popeye's quote. We are, at our core, a unique personality style blend - based on science, environment, and emotional factors. Our adjectives describe us, yet don't have to define us. Better yet, if they ARE at the core of who we are, what if we were intentional about what descriptors we want to stick and become part of that definition? A while back I did a series on understanding your unique personality style based on the DISC personality assessments. As this is the basis for everything I speak and coach on, it's time to revisit this powerful topic. I spend a lot of time exploring personality and the way we are naturally wired - but let's get one thing straight. There are a lot of factors affecting who you are and what you do every single day. Your environment, health, the family dynamics around you and how you connect with others all greatly affect how you portray yourself to the world. There have definitely been times when the words to describe me are not what I want to become my identity. In all actuality, it's not really about personalities. 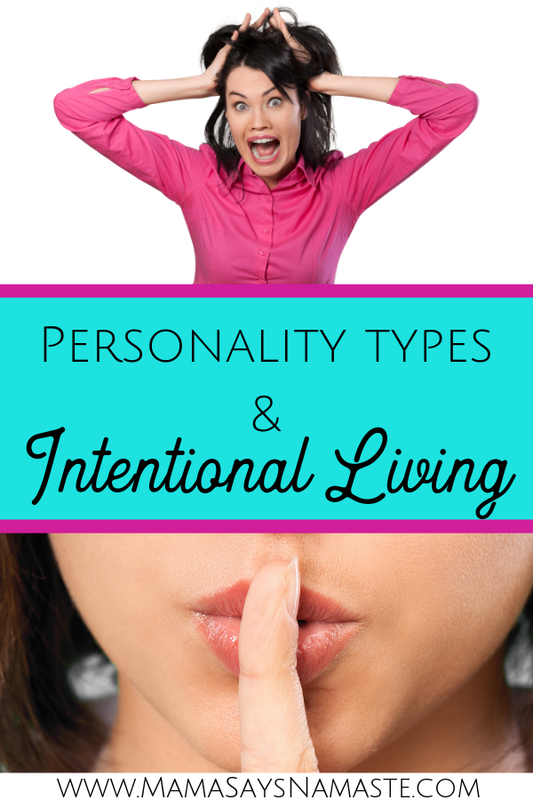 These "personality assessments" or personality tests that you take - Myers-Briggs, DISC, Kolbe, Enneagram, Strengthsfinders and more...it's about something more than personality...it's about behavior. All these assessments can be surprisingly accurate. It's pretty incredible to see how well they can read into how we act and react. The bottom line is that these are measurements of behavior. After decades of research, what these tools are finding are common patterns of behavior that help to shape your personality style. It's through studies of natural behavior and reaction that these assessments can give you such insight. one is with intention, and one is out of reaction. When you think of the definition of you, that's intentional. How do you want to present yourself to others? When you describe yourself, you are creating your reality. The kicker is, either you define you, or your reactions do. I don't have much patience and love to be in control. When I'm stressed out, I frantically grasp for some element of control in something, so I start barking orders to ensure everyone is doing their part to bring some order to the chaos. My way is typically the right way, of course, so as long as people don't bother me with questions, we can plow right through and do what I know needs to be done. I'm driven and confident. Engaging others and empowering them to be their true authentic selves is my favorite past-time. I can move fast and jump in to most situations ready to collaborate or lead, depending on what is needed. My fast-paced style allows me to be ready for anything and always up for a challenge. You have natural tendencies to describe how you behave. Never, ever let one of those adjectives - especially something in your reaction mode - become a non-budging definition of who you are. You are powerful. Significant. Loved. There are words that describe behavior, and there are ones that define a greater whole of who you are. Allow these to define your core behavioral style, and use words like this to reflect back on - does your behavior match the core of who you want to be? Create your defining words beyond simply what you do in your worst moments. Separate out a reactive behavior and acknowledge we all have our hard moments. 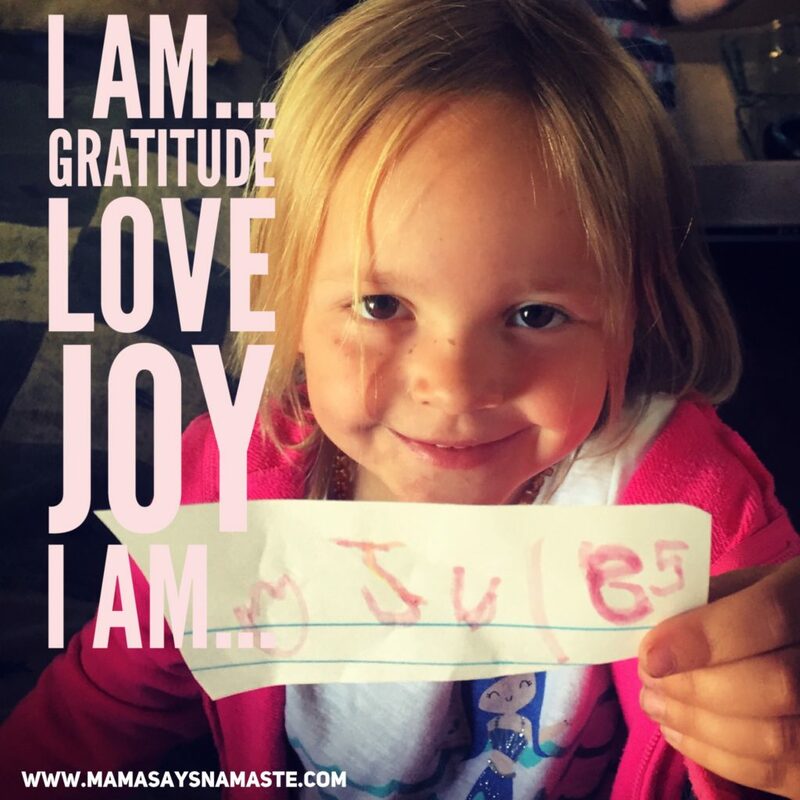 Hold on to those definitions of who you want to be - to be love, grace, joy, beauty. Let go of when you miss the mark - learn from it and move past it. You are more than just what comes out of you as you grow. Every interaction with another gives you the opportunity to adapt a bit more into the person who thrives in your beautiful personality style. Intentional descriptors are when you are living in your strengths. 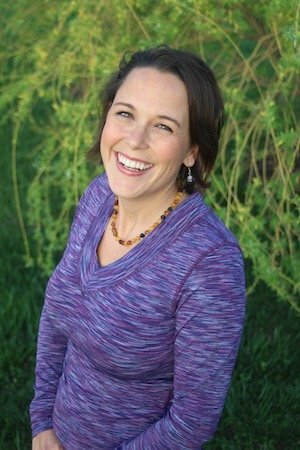 I end every Mama Says Namaste Podcast episode with the tagline: The uniqueness in each of us strengthens all of us. That epitomizes that it is in our differences that we can truly complement and complete one another. It's recognizing the gifts of others and appreciating what they offer that you cannot. Reactive descriptors are when the head takes a back seat to the emotion. This isn't always a negative, which is why I say "reactive" instead of "negative". For example, when I feel like I'm going to fall, I'm going to react and grab whatever is closest to me. That's not a negative, that's simply a natural response. When you live your life solely in reaction, however, even in the good way (like the survival mode you switch on in a crisis situation), you will eventually burn out, because this isn't sustainable. You have to rest and replenish. This comes through pulling out those fabulous descriptors that are your strengths as well as your definition of who you want to be. If you want to be wise, define yourself as "the listener" and work on your listening skills. If you want to be more loving, define yourself as love...it's amazing how much that one definition will shift your demeanor and how you react to others. 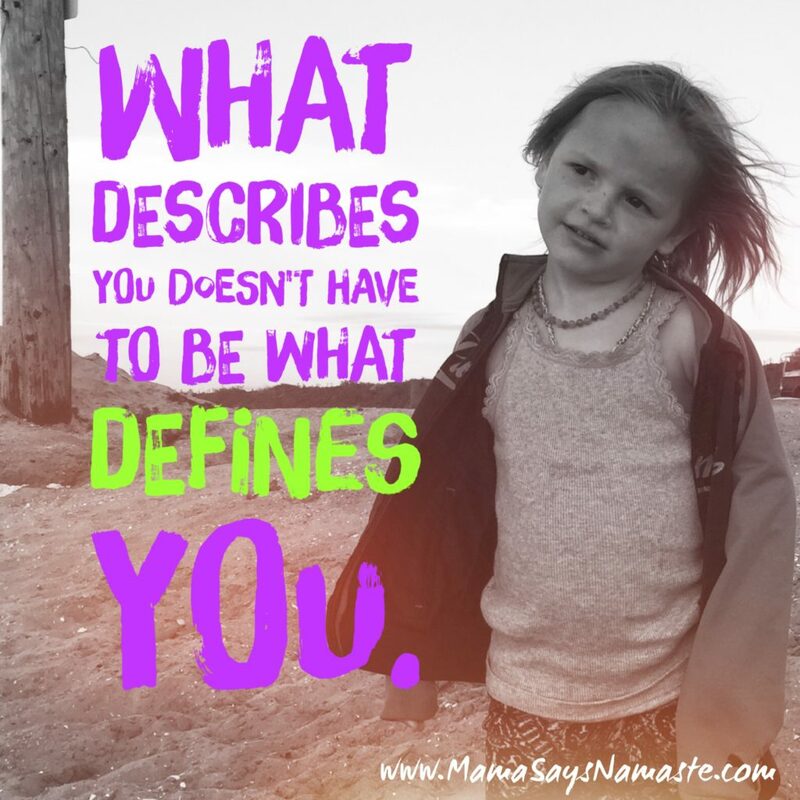 Create your own descriptive words that you want to define you. Allow for these to become your mantra and live in your strengths. Don't become your reactive tendencies - instead, try being your biggest loving supporter and see how your whole perspective shifts. Share with me below your favorite positive descriptors that you include in the definition of you! Eager to learn how your family ticks? There are many types of people...and I want to make it easy for you - we can easily sort them into four main personality - or behavior - styles. 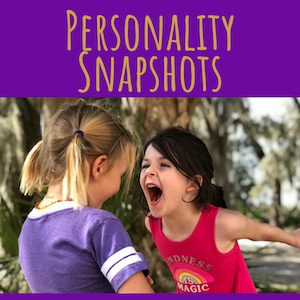 Understanding these four personality types makes an incredible impact on your family dynamics, as you recognize the triggers that put your family in reaction mode, and see those beautiful strengths to help them thrive!